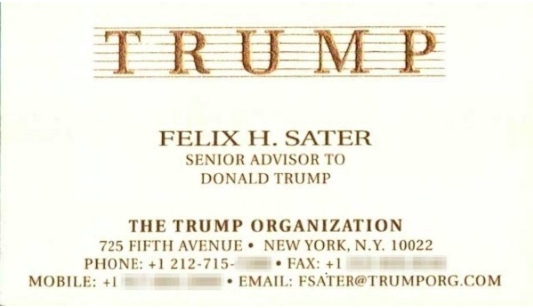 Donald Trump “was $4 billion in debt when Russian money came to his rescue and bailed him out, and, as a result, he was and remains deeply indebted to them for reviving his business career and launching his new life in politics.” Unger describes Trump’s business relationship with Felix Sater and Bayrock real estate development company and claims Sater allowed the Russian mafia to launder enormous amounts of money, perhaps as much as billions of dollars, through Trump-branded real estate. There is much in “House of Trump, House of Putin” that is new to me, including the fascinating story of the extraordinary impact of the Russian mobsters who immigrated to America in the 1970s and ‘80s, learning from the Italian mafia that there was a considerable lag between the time New York City gas stations collected the various taxes on every gallon of gas they sold—at that time 27 cents per gallon; now about 64 cents—and about the year it took for the authorities to collect these taxes. The mafia made sure that the listed owners of these gas stations were dummy corporations registered in Panama. Then they’d close down the stations just before the tax collector came by. Then they’d re-open with a new name, owned by a new company, and start the scam all over again. Unger writes it was “one of the most lucrative government rip-offs in American history,” and so successful the Russians jumped in. 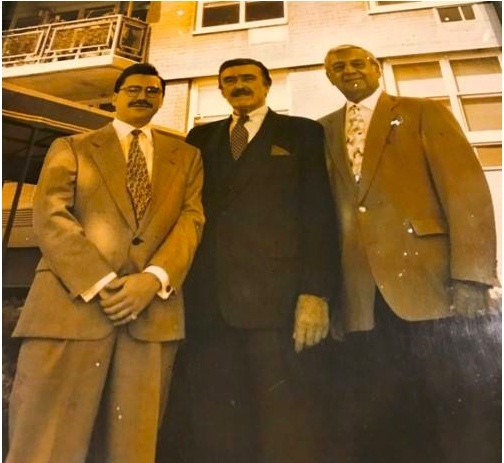 In 1984, Sonny Franzese and his son Michael of the Colombo crime family reached an agreement with “three alleged Russian gangsters, David Bogatin, Michael Markowitz, and Lev Persits,” part of a generation of Russians quick to identify cracks in a system they quickly realized was vulnerable to extortion and crime. The tax scam was a gold mine and the Russians quickly had 200 people working on it. Some historical perspective: The Soviet Union’s intervention in Afghanistan was a disaster. Many in the Russian secret service, the KGB, saw the looming economic and political crises about to overtake them. 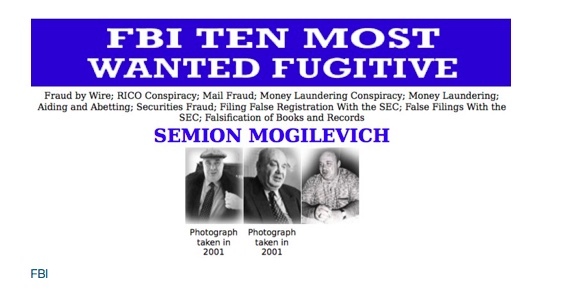 Unger writes: “All of which created a gigantic power vacuum for the Russian Mafia to fill at a time when it had grown to roughly nine thousand criminal gangs with thirty-five thousand members, many of whom, likely including Bogatin, were looking to transfer illicit funds into safe havens in the West. Here’s a part of the “House of Trump” story I didn’t know. Unger notes that the Trump family always had a predilection for the criminal impulse: “It began at the tail end of the nineteenth century when a rogue entrepreneur who happened to become Donald Trump’s grandfather headed out for Canada’s Yukon Territory during the Klondike Gold Rush and sought to make his fortune not by panning for gold, but by providing essential services for gold miners. 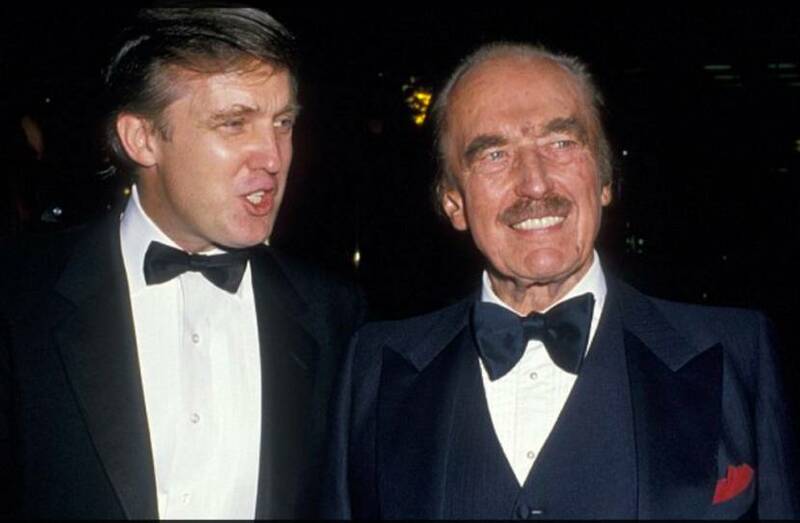 According to author Gwenda Blair, among the various enterprises owned by Frederick, né Friedrich, Trump, was a restaurant sometimes called the Dairy Restaurant and sometimes called the Poodle Dog, which advertised ‘Private Rooms for Ladies’—a polite euphemism for prostitution. 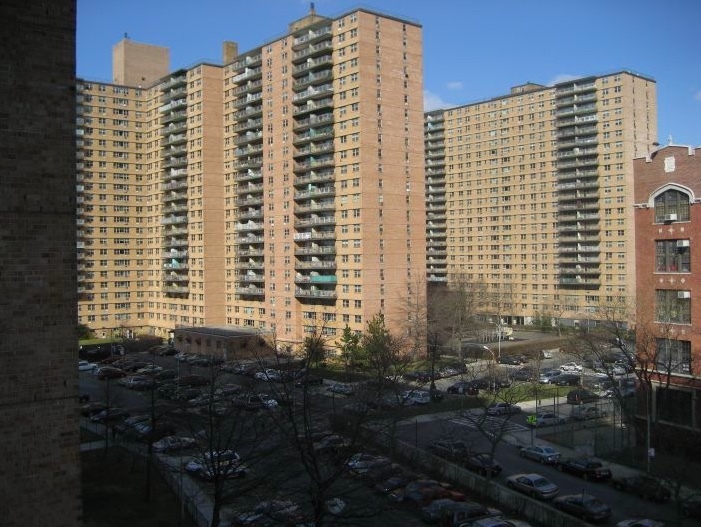 Donald followed in Fred’s footsteps, determined to expand from the outer boroughs of Queens and Brooklyn into Manhattan. “For Donald Trump, the fact that the entire city was on the verge of bankruptcy was good news indeed, because prices could not go much lower. For his option to buy the dilapidated, rat-infested Commodore Hotel on East Forty-Second Street, Trump paid exactly $1.19. Decrepit though it was, the Commodore had two things going for it: First, it was adjacent to Grand Central Terminal, a spectacular location—if the city came back to life. And second, because the property was so big, the upside was potentially colossal in a city valued by the square foot. It was the opportunity of a lifetime. 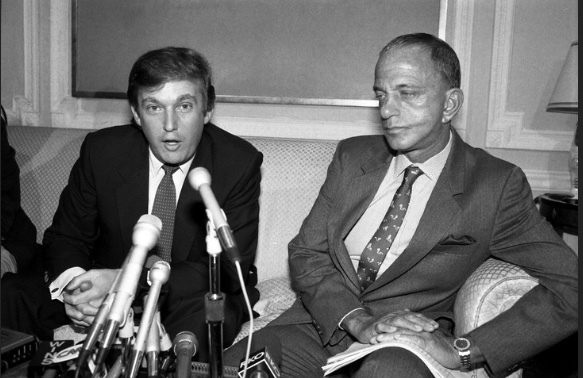 Cohn became indispensable, and a mentor: “Cohn helped the Trumps battle a 1973 lawsuit by the Civil Rights Division of the Justice Department alleging that Trump rental properties refused to rent to minority applicants. Cohn advised Donald to tell the government ‘to go to hell and fight the thing in court.’ … In effect, Donald had adopted Roy Cohn’s credo as his own: Always attack. Never apologize. Attack, attack, attack. 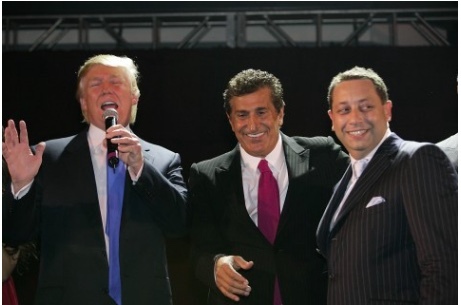 Donald Trump “began developing his own contacts among the new Russian émigrés, including a man named Semyon Kislin … For Trump, it was the beginning of a long association, and the first of many relationships to people who were allegedly tied to Russian mafiosi. 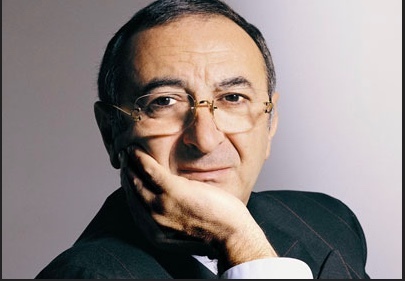 Kislin and his partner, Temur Sepiashvili, aka Tamir Sapir …started an electronics store that was well-known among Soviet citizens in the United States and, according to the New York Times, became a wholesale outlet from which Soviet diplomats, KGB agents, and Politburo members bought their electronic equipment. 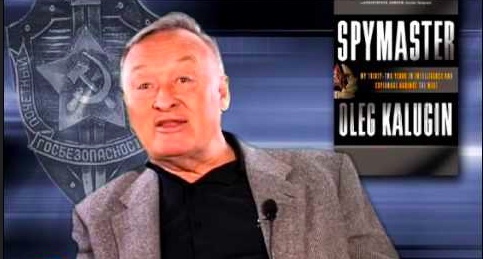 Unger continues: “Thanks to a compendium of his memos … we know that by 1984 he was deeply concerned that the KGB had failed to recruit enough American agents. To Kryuchkov, absolutely nothing was more important, and he ordered his officers to cultivate as assets not just the usual leftist suspects, who might have ideological sympathies with the Soviets, but also various influential people such as prominent businessmen. “And so … the political education of Donald Trump began in March 1986, when he met the Soviet ambassador to the United Nations, Yuri Dubinin and his daughter Natalia Dubinina. … As she told the Russian daily Moskovsky Komsomolets, when her father arrived in New York City for his very first visit, she took him on a tour… Natalia said her father ‘never saw anything like [Trump Tower], that he was so impressed that he decided he had to meet the building’s owner at once.’… and paid him a visit. 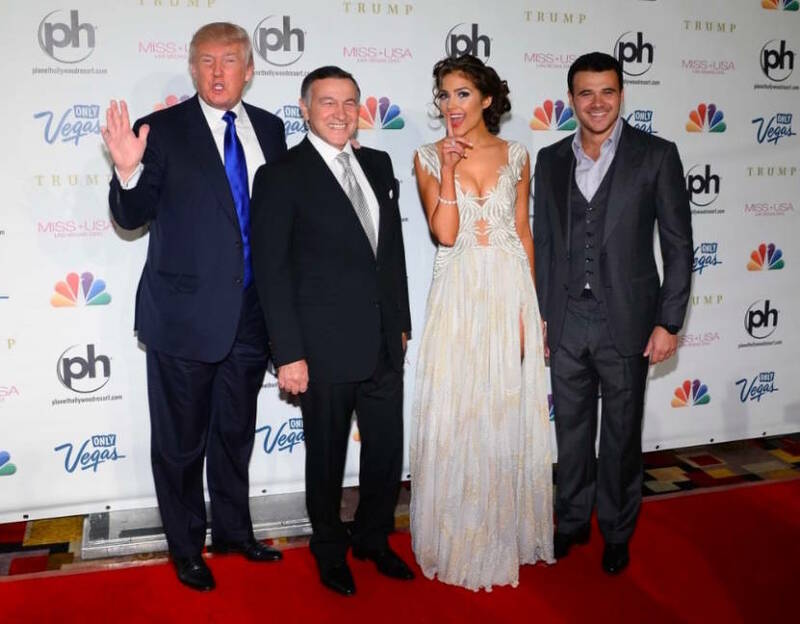 On July 4, Trump flew to Moscow with Ivana and two assistants … “According to Viktor Suvorov, an agent for the GRU, Soviet military intelligence, ‘Everything is free. There are good parties with nice girls. It could be a sauna and girls and who knows what else.’ All of which sounded great, except for one thing: Everything was subject to twenty-four-hour surveillance by the KGB.”… And the KGB would routinely hire young women and deploy them as prostitutes to entrap visiting politicians and businessmen. Unger adds this fascinating observation: “Trump’s White House ambitions did not make an especially deep impression on American voters in the 1980s, but foreign agencies took notice. Several months after Trump’s visit to New Hampshire, Ivana returned to her homeland, where the Czech StB continued to keep a close eye on her … [filing] a classified report dated October 22, 1988, saying that ‘as a wife of D. TRUMP she receives constant attention … and any mistake she would make could have immense consequences for him … Even though it [his presidential prospects] looks like a utopia,’ the awkwardly translated report said, ‘D. TRUMP is confident he will succeed.’ Only 42, the report added, Trump planned to run as an independent candidate in 1996, eight years hence. While the House of Putin now had a seemingly endless stream of stolen cash, the House of Trump was having massive money problems. “As early as 1990, Trump’s casinos were in so much trouble that, far from being a multibillionaire, as he claimed, Trump actually had a negative net worth. Indeed, at a time when payments on more than $1 billion worth of bonds on his casinos came due every ninety days, he was down to his last $1.6 million. “Then, in 1991, the Trump Taj Mahal, the $1.2 billion casino … became the first of six Trump bankruptcies … Thanks to personal liabilities exceeding $900 million, one after another, Trump’s three Atlantic City casinos and the Plaza Hotel slipped out of his grasp. Other assets, such as the Trump Shuttle and his 282-foot yacht, the Trump Princess, were casualties as well. Unger shares an amazing story about Putin’s shrewd efforts to win the support of Russian Jews and Jewish oligarchs who might threaten his position and the position of his most important Jewish oligarch supporters, Roman Abramovich and Lev Leviev. 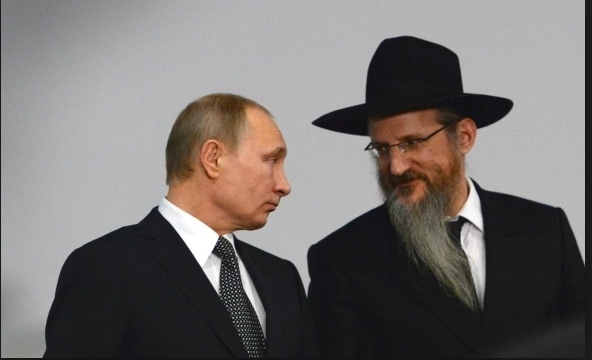 It’s a story that links the House of Trump to the House of Putin: “in 1999, Putin got Abramovich and Leviev to create the Federation of Jewish Communities in Russia, under the leadership of Rabbi Berel Lazar, a leader in the Hasidic movement called Chabad-Lubavitch. “Sater remained managing director of Bayrock through 2008. Trump also continued to participate in the venture and enjoy its profits. ‘Inducing a bank to lend money based on a fraudulent loan application—i.e., concealing Sater’s criminal past—is bank fraud,’ said Fred Oberlander. ‘If you know that the loans were procured by fraud yet stay involved, it’s a conspiracy to violate money laundering and racketeering statutes.’ … ‘It’s certainly a question for [special counsel Robert] Mueller to look into,’ said Jonathan Winer. “And so, all the strands had started to come together: There was a booming real estate market. There was Vladimir Putin’s festering bitterness about his country’s humiliating Cold War defeat. There were Putin’s dreams of reviving Russia’s imperial glory. There was the newly globalized post–Cold War version of the Russian Mafia, still very much a state actor in league with Russian intelligence. There were untold billions of dollars in flight capital in anonymous shell companies in Cyprus, the Channel Islands, Panama, and other havens for dark money. There were sumptuous chateaux, villas, dachas, and estates, one bigger than the next; gigantic yachts; private jets; and all the rest, all part of a new culture of unimaginable greed. Craig Unger’s “House of Trump, House of Putin” is a wide-ranging and impressive work of investigative journalism. But like other recent works on the Trump/Putin relationship and Russian interference in the 2016 election, “House of Trump, House of Putin” relies on open sources. But the principal players here, especially on the Russian side, are skilled intelligence operatives. And, of course, we’ve never seen Donald Trump’s tax returns. 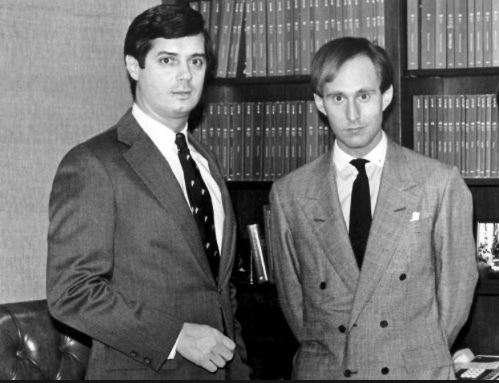 I suspect, if we are ever to learn the truth of what, if any, explicit deals the Trump campaign and Trump administration made with Vladimir Putin, we’ll have to rely on the subpoena power of a Democratic-controlled House of Representatives and the work of Special Counsel Robert Mueller and grand juries in Washington, D.C., Virginia and the Southern District of New York. 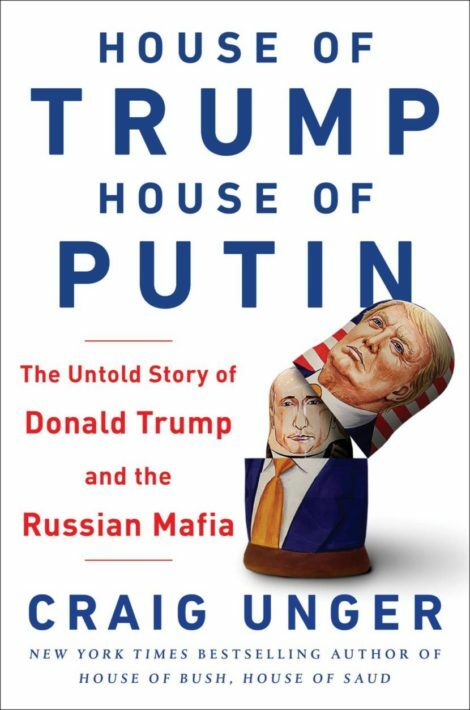 In the meantime, and as we wait, pick up a copy of “House of Trump, House of Putin.” Thanks to Craig Unger, you’ll learn some incredible things about Putin’s Russia, the Russian mob’s infiltration into America, and the extraordinary and unusual links between their worlds and the world of Donald Trump. To make it easy, Unger provides a list and description of 59 individuals with ties to both the House of Trump and the House of Putin. 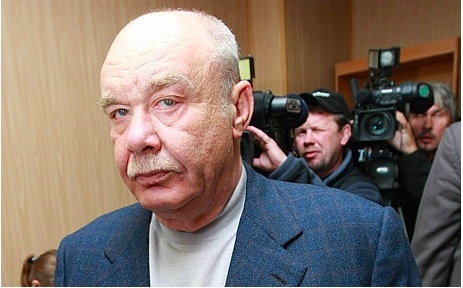 “In some ways, it seemed that everything had come together better than Putin could possibly have dreamed: three decades earlier, Mogilevich and the Russian Mafia’s compromising of Trump had begun by possibly using Trump real estate to launder their money. They had bailed out Trump when he was bankrupt. They had ensnared him with some form of kompromat, most likely, though in exactly what form is unclear. They had ensured that he was beholden to Russia’s money, and its power. “Meanwhile, the Gerasimov Doctrine had been implemented, and with it a new kind of asymmetric warfare using hackers and cyberattacks, disinformation and media manipulation. All done at Putin’s behest, often by thinly disguised state actors, working hand in hand with the FSB. All largely unseen. All done with deniability. Accompanied by an almost Surkovian attempt to destroy the entire notion of truth via cries of ‘Fake news!,’ pathological lies, and right-wing propaganda, fueled with the gasoline of social media, real and robotic. “House of Trump, House of Putin” is well worth reading.